I combine shipping. If more than 1 bar is ordered, just email me and I will adjust invoice price according to total weight for priority mail shipping. We love using the USPS flat ship box for all in store (nonsale) purchases so you can stock up and save money on shipping. Thanks! See my selection! The Gourmet Rose "100% NATURAL "PEPPERMINT PINE TAR SOAP" ( 4 oz bar ) Handmade Natural Cold Processed Soap Made with farm fresh goat's milk raw African shea butter BUY 5, GET 1 FREE (Mix Match) See my inventory. MMM...Made with plenty of real peppermint oil and pine tar to leave your skin tingly and refreshed! Cold processed and made the old fashioned way with farm fresh goat's milk and natural shea butter for the ultimate mild, refreshing, and soothing bar. Non-irritating to skin. 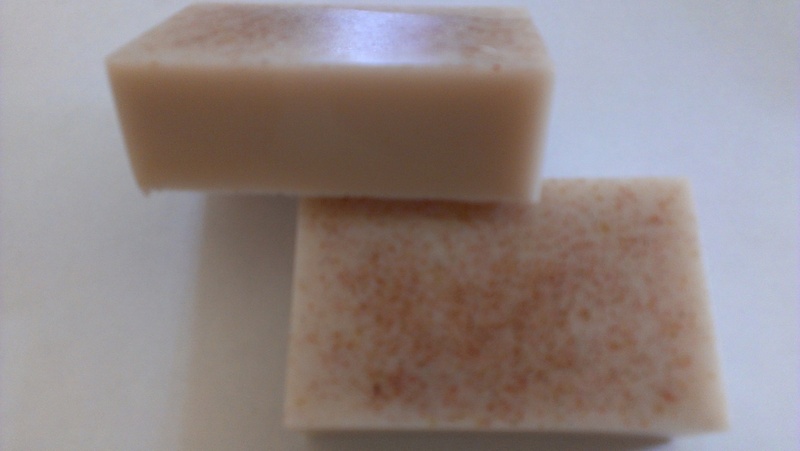 A great all over body bar; also great on hair as a shampoo bar. A great moisturizing bar for all skin types, especially oil/normal. Ingredients: Saponified vegetable oils (soybean, coconut oil), Shea Butter, farm fresh goat's milk, pine tar, peppermint essential oils, rosemary extract. This soap is makes your skin feel baby soft. It is also good on sensitive skin. Most people can quit using after bath moisturizers with continued use of this soap. Biodegradable and Eco Friendly Handmade soap is the mildest soap that can be made No Detergents No Synthetic Dyes, Colorants, or Chemical Preservatives No Synthetic Perfumes or Scents No Animal Testing or Products No Artificial Ingredients Thanks for visiting and be sure to check out our other great items!